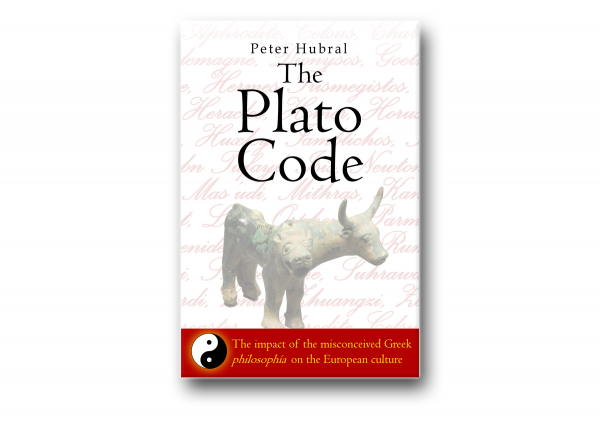 Produktinformationen "The Plato Code: The Impact of the Misconceived Greek Philosophia of the European Culture"
Peter Hubral shows, on the basis of his profound comparative research in The Socrates Code, how the ancient Egyptian and Iranian cultures influenced the Greek Pythagorean/Platonic tradition in its comprehension of BEING, the primeval source of Being, the familiar world. He demonstrates that it is not the original knowledge of these Ancient cultures about BEING that formed the modern European culture, but its systematic misinterpretation due to treating BEING, as if it would be Being. He convincingly argues that the Pythagorean/Platonic tradition shared until its radical elimination in the Byzantine Empire the same “universal culture” of life-care and search for truth like his Taoist school, which is rooted in the Tai Chi-teaching of Lao Tzu that he summarises in The Lao Tzu Code. Take a look at the author´s biography here and the article "Man, the Meausure of All Things?" here. Shipping only to Germany; for worldwide shipping buy on amazon here. Weiterführende Links zu "The Plato Code: The Impact of the Misconceived Greek Philosophia of the European Culture"